Starting this wednesday, I will be holding a 5-class Japji Sahib course for the following weeks. The course is open to all who would like to dive into the teachings of Guru Nanak and experience the richness and wisdom of his words in the Japji Sahib. The Japji Sahib is a wonderful poem written to uplift the soul from the darkness of the ego-mind, and bring it back to its essence. The Japji Sahib teaches how to live in this world without having to retreat from the everyday doings and its teachings can be applied to every situation at home, work or during meditation. It is an extremely rich and beautiful poem, written in Gurmukhi in 40 paurees or stanzas which harmonizes the 5 tattwas (elements), the 8 chakras, the 10 spiritual bodies and brings clearness to the mind and fulfills the heart’s longing to belong. The course will be focusing on right pronounciation, meaning and translation of the words and paurees, experiencing the power of Guru Nanak’s sound current, and integrating these in your life. We will be listening to Japji, chanting and meditating in different paurees, with yoga exercises and special meditations to enhance the experience. The course will be an elevating and inspiring immersion into self-mastery through the technology of the Shabd Guru. As part of the course, you will receive a printed copy of the Japji when registering in advance. 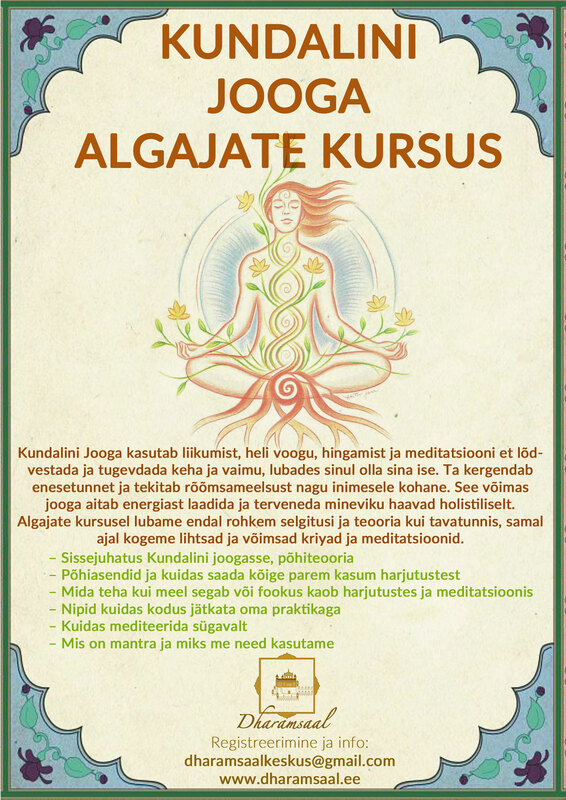 The course will take part either in English or Estonian, depending on participant’s needs and flow of the class.